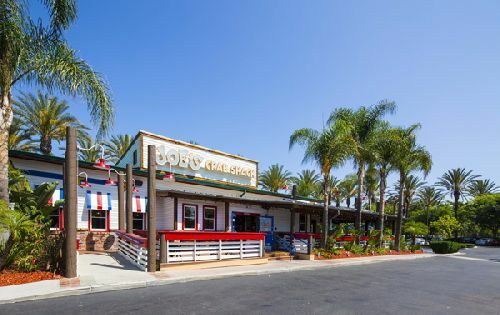 Valore Ventures has acquired the fee simple interest in four brand-name restaurants—Oggi’s Pizza & Brewery, Outback Steakhouse, Red Robin, and Joe's Crab Shack (the “property”) in Garden Grove, near Disneyland, for $13.1 mil. “Southern California possesses one of the strongest, if not the strongest, single-tenant net leased markets in the country,” said Kenneth De Angelis, principal of Valore Ventures. “What attracted us most was the ideal location - just three blocks from Disneyland and Disney California Adventure, the two most popular theme parks in the country. Tons of restaurant chains vie to be in this location but nothing comes available often." The restaurants are all subject to ground leases and were built between 2001 and 2008 in conjunction with the larger surrounding development that includes three high-rise hotels in Garden Grove. Other nearby hotels for Disneyland visitors include: the Sheraton (285 rooms); Wyndham (384 rooms); Marriott Suites (371 rooms); Homewood Suites (215 rooms); Hyatt Regency (657 rooms); Residence Inn (244 rooms); Hilton Garden Inn (169 rooms); and more, providing a direct consumer base to draw from. Another unique feature of the property is its 2.78-acre parking lot that is owned by the nearby Sheraton, Marriott and Delta hotels, but is exclusively for restaurant use. "You just can’t emulate that,” De Angelis said. Additionally, Valore Ventures purchased the site as one large parcel that the investment firm split up into four individual parcels while in escrow under a strict timeframe. Valore Ventures plans to sell each parcel individually. Disneyland draws an average of 50,000 people a day and 18.2 mil visitors a year. The asset also is ideally situated at the intersection of Chapman Ave and South Harbor Blvd, the main thoroughfare for visitors traveling to Disneyland, with a combined 60,000 vehicles passing by daily. In addition to its proximity to Disneyland, the property is positioned directly across from a Target-anchored shopping center and is less than two miles west of the Outlets at Orange with major tenants including the Nike Factory Store, Levi’s Outlet, Nordstrom Rack and more. Two new hotel projects next door are slated to start construction in 2019. The property is also located minutes from the Anaheim Convention Center, a major tourist destination that just underwent a 200k sf, $190 mil expansion and the five-mile trade is supported by a population of over 860,000 residents. Tom Fazekas of Fazekas Retail Group in San Francisco represented the seller in the transaction.